We’re giving our rooms a fresh new look. See the difference on your next stay with us! the comfortable Larkspur Landing Milpitas hotel. free WiFi, a fully equipped kitchen, and much more! Valley? Look no further than Larkspur Landing Milpitas! 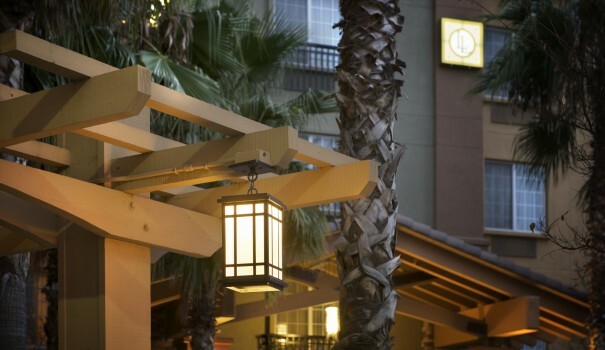 Near theme parks, sports stadiums, shopping, and more, the Larkspur Landing Milpitas hotel is perfect for vacationers! Located in the heart of Silicon Valley, the Larkspur Landing Milpitas offers you perfect accommodations for business or leisure. Whether you’re staying with us for a day, a weekend, or a month, the Larkspur Landing Milpitas Hotel has everything you need to feel comfortable and relaxed. From a fully equipped kitchen, separate sleeping and living spaces, and free WiFi, our all-suite room accommodations are sure to please. Our friendly staff is on hand to address your every need and can’t wait to welcome you. For business travelers, the Larkspur Landing Milpitas hotel is a perfect choice. Located less than 15 minutes from the San Jose International Airport, we are near Silicon Valley and Downtown San Jose, as well as within walking distance of the corporate headquarters of companies like Cisco, SanDisk, and Varian Medical Systems. And with access to our Business Center and complimentary WiFi, you’ll always be connected. Plus, with our convenient meeting facilities, the Larkspur Landing Milpitas hotel is the perfect choice for your next office retreat or board meeting. Whether you’re traveling alone or with the entire family, the Larkspur Landing Milpitas hotel is the perfect spot to stay during your much-needed getaway. With a fully equipped kitchen in every suite, you can sit down for a great meal before experiencing the best of what Northern California has to offer. The fascinating Winchester Mystery House, California’s Great America theme park, and the premier entertainment and sports venue SAP Center are just some of the nearby area attractions. In addition to providing luxurious all-suite accommodations, the Larkspur Landing Milpitas hotel is the perfect place to hold your next meeting or event. Plus, with our full range of amenities, you can be sure that every stay is as comfortable as home.